Mark Cherry, president and chief operating officer at Manassas, Virginia-based autonomous systems maker Aurora Flight Sciences, has been appointed to succeed Darryl Davis as vice president of Boeing’s (NYSE: BA) Phantom Works technology arm. 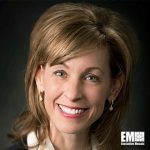 Davis, who served as head of Phantom Works for a decade, will transition into a program management role and report directly to Greg Smith, Boeing chief financial officer and executive VP of enterprise performance and strategy, the company said Tuesday. Leanne Caret, president and CEO of Boeing’s defense, space and security business and an inductee into Executive Mosaic’s Wash100 for 2017, said Cherry will help Phantom Works advance efforts to integrate new technologies and methods into platforms in support of clients’ requirements. Cherry joined Aurora in 2012 after his tenure as VP of corporate strategy and synergy at Lockheed Martin’s (NYSE: LMT) Sikorsky subsidiary. 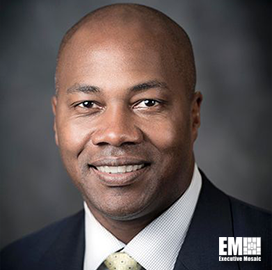 He held leadership roles at United Technologies Corp. (NYSE: UTX), Teradyne (NYSE: TER) and Boston Consulting Group. Cherry also served in the U.S. Air Force as an officer prior to his move to industry. His appointment came nearly two weeks after Boeing announced it will acquire Aurora in a move to further autonomous technology development efforts.